Love this leather and metal vibe! 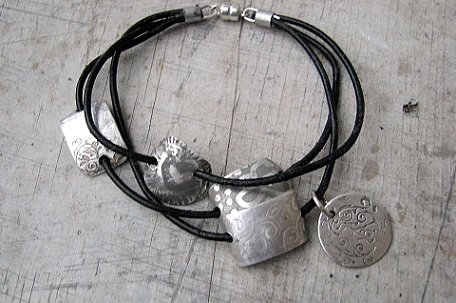 Combine your favorites in this three-strand magnetic bracelet, threaded and dangling with eclectic samples of etching and stamping you create. Follow Natalie's designs or follow your heart! Materials included. Ages 18 and up.